You may be there for a couple of days, or planning to go and in the lookout for some great ideas and inspiration before packing your bag. 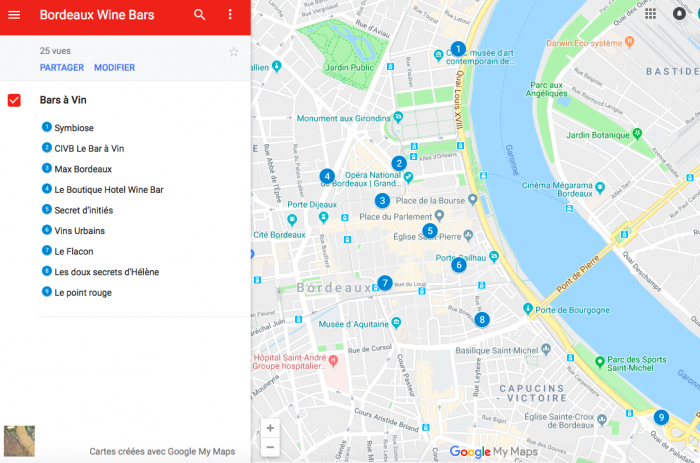 Here are 9 bars where to find a good glass of wine in a cool atmosphere all located in downtown Bordeaux. Follow the map! 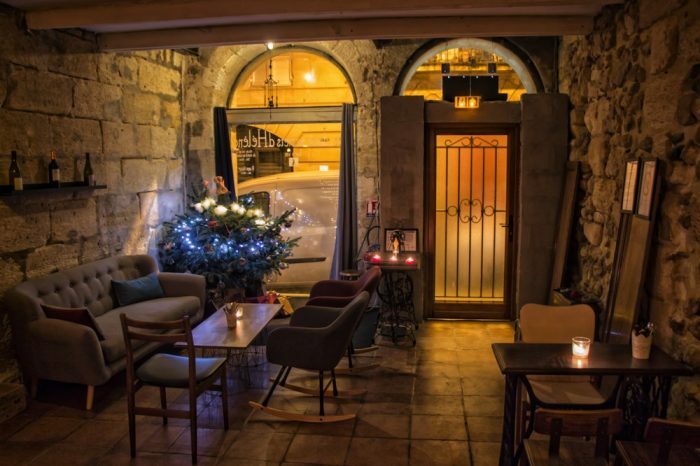 Ok this one is not a “true” wine bar but you will absolutely love it and find delicious wines there anyway. Symbiose is a « speakeasy kind of bar restaurant », a concept that was taken from the prohibition period back in the 20’s in America. What people loves about “speakeasy ” is its intimate and secret feel. The idea is that you don’t know there is a cool bar behind any kind of thing, it could be a phone box, a white kitchen door, a wardrobe… at Sybiose this is a magnificent clock. You will love this place created by 4 young passionate guys that could spend hours talking to you about the herbs they have discovered during their last trip to Japan or the delicious sirup they have just made for you. Service in excellent and the menu is very creative made mostly with fresh produce from the region. They offer a lunch formule during the day that is of excellent quality at less than 20€. A « pepite » as the locals like to say about this place. 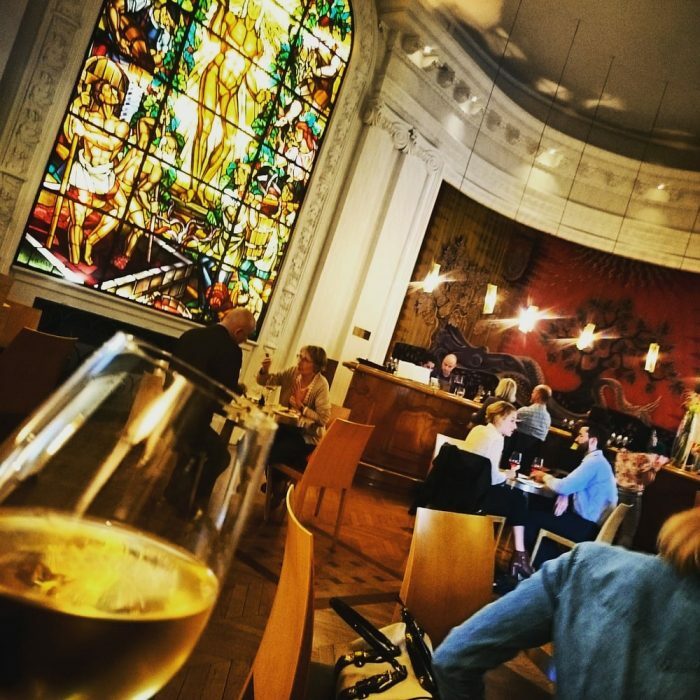 Basically lunch is served during the day where you willl be able to taste great wines from the region and in the evening the doors open behind the “clock” where they will craft for you beautiful and balanced cocktails. Located near Musée d’Art Contemporain de Bordeaux. 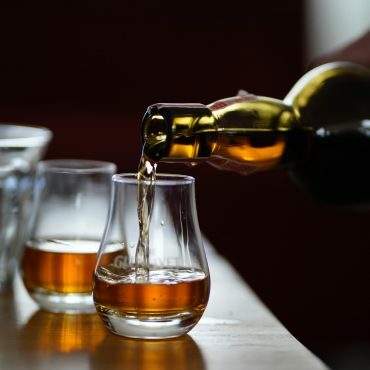 Are you looking for a place where you can taste a wide range of bordeaux wines even the first gorwth (grand crus) and top bordeaux wines at an incredible price? You will find it here at CIVB a beautiful modern owned by the organization that promote bordeaux wine in France and all over the world. With wine by the glass starting at 1€ up to 8€, knowledgeable sommeliers, a welcoming and modern bar that features a small menu of gourmet tapas including a nice selection of local and european cheeses, chocolates and foie gras, CIVB le bar à vin is definitely a great place to go when you’ve just arrived in Bordeaux. The only thing is that it fills up quicly and don’t take any booking so come early! If you’re a Champagne fan, they do offer some but it is not mentionned on their menu. 3 Cours de 30 Juillet, Bordeaux 33000, +33 (0)5 56 00 43 47. baravin.bordeaux.com, Mon-Sat 11am to 10pm. 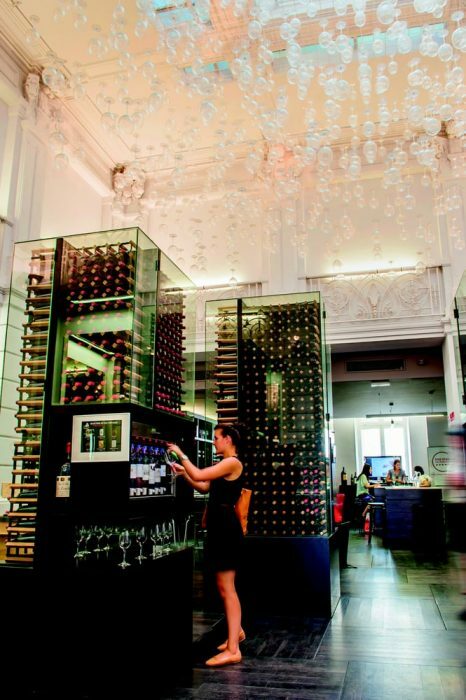 This beautiful, modern and classy wine bar is a perfect place to taste Grands Crus and Top Bordeaux wines by the glass. Additionally, they have a wine museum and offer intimate seminars. The sommeliers are very informed, they will help you understand wine. You will purchase a charged card and use it to filll up your glass with the wine you want. 14 Cours de l’Intendance, Bordeaux 33000, +33 (0)5 57 29 23 81. Close early 8 pm. 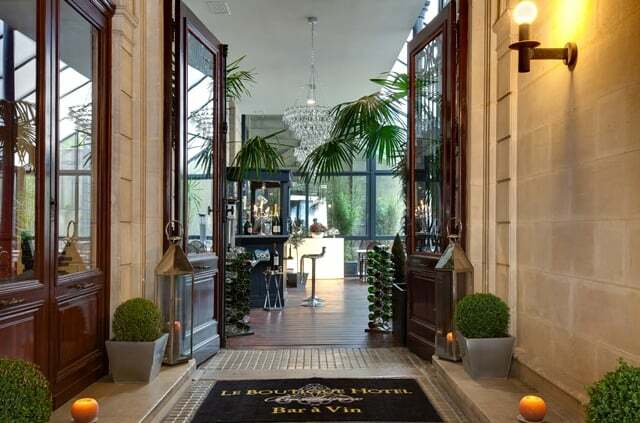 Hidden gem of Bordeaux, this elegant boutique hotel of 25 rooms can be your perfect place to stay over during your visit. 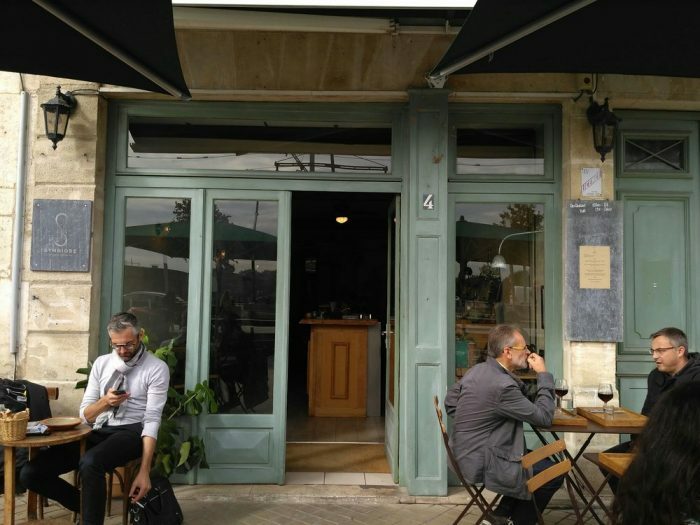 With a fantastic terrace and wine bar and an amazing staff who love helping adventurous wine lovers in their search for the perfect Bordeaux elixir. Definitely, a great spot to have a glass of wine in a beautiful garden setting before exploring Bordeaux. The fun part is that they don’t have any Menu, instead you tell the sommelier what kind of wine you like and you will have to guess: best way to learn if you’re openned to it! This is a Champagne bar. 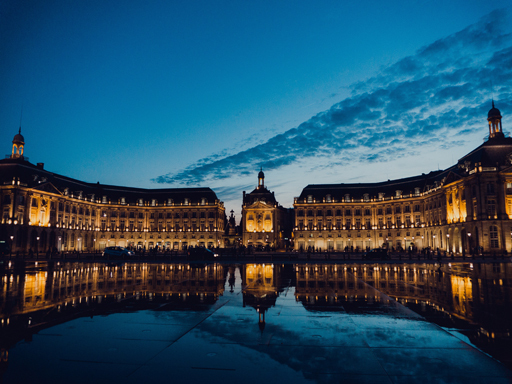 Yes I know you’re in Bordeaux but maybe after having tasted all the red wines that the region has to offer you will be glad to clean your palate with some fresh and delicious bubbles, don’t you think? 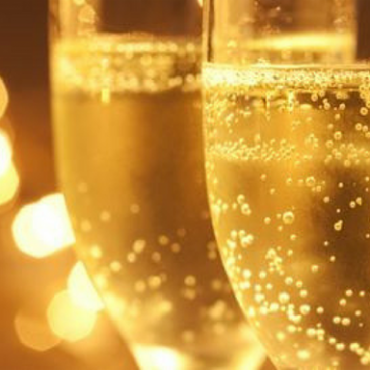 You will be offered a fantastic selection of the best Champagne houses in a cosy, warm and intimate atmosphere. The owner, former sommilier at the Ritz London, will be happy to share with you his extensive knowledge of each cuvée by year and style. 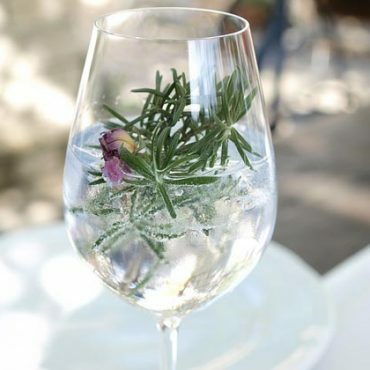 Top it all by savouring your glass with some regional and high-end plates. 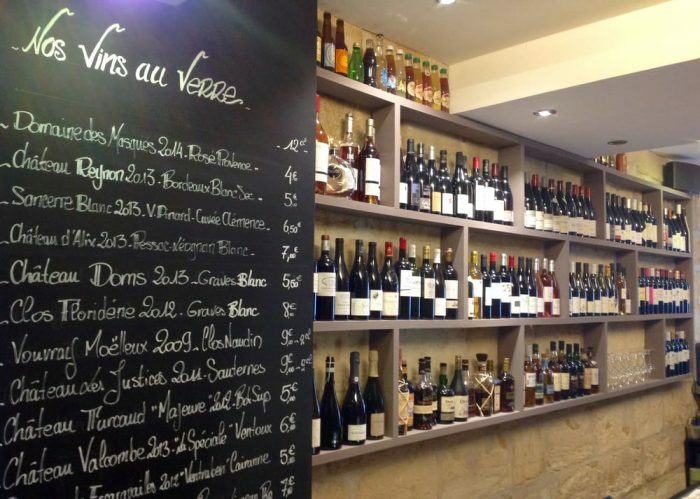 With more than 250 references of wines and spirits to be discovered in a friendly atmosphere Vins Urbains is another great bar where you will certainly have a good time discovering authentic produces from the region with a good glass of wine. 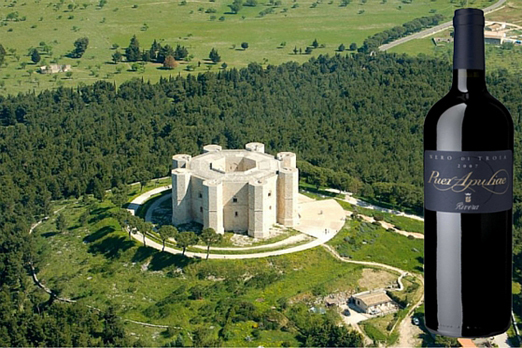 The friendly and attentive staff friendly will gladly answer all the questions you may have about wine. If you want to bring you wine home you can. 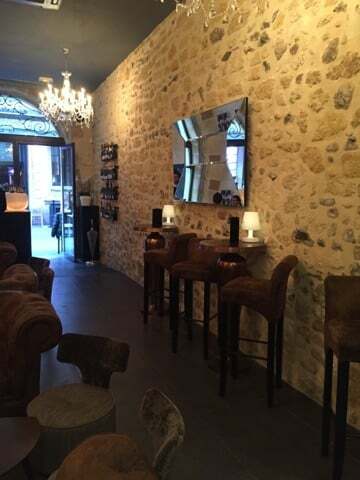 27 rue des Bahutiers, vinsurbains.fr, Tues-Sun from 6pm. 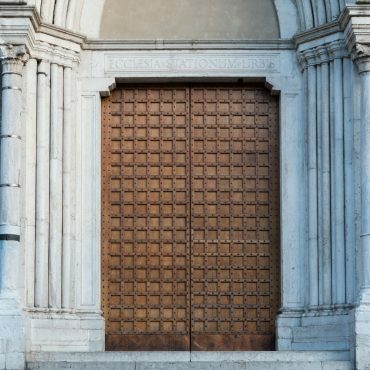 Open only in the evenings. only 30% wines are from Bordeaux. 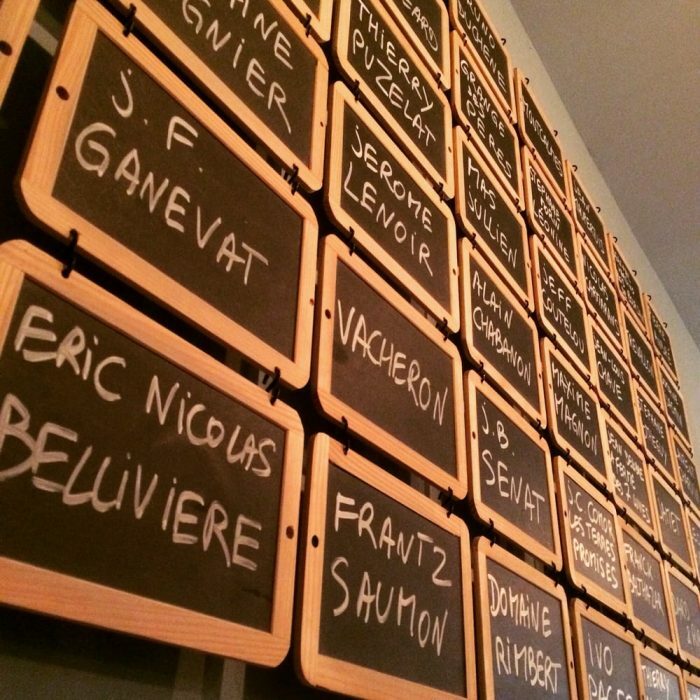 This is the natural wine place with over 200 references at 5-7€ by the glass. Very welcoming in an intimate and 1950s setting, simplicity and attention are the words that best describes Le Flacon. 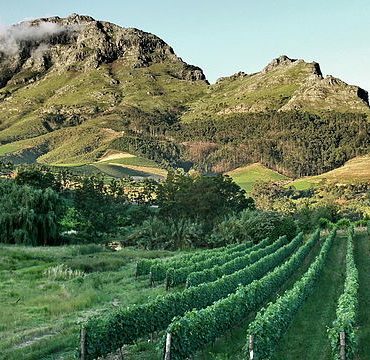 This is not a touristy place but a bar where the love and care for wine and food made simply create an unforgettable experience. 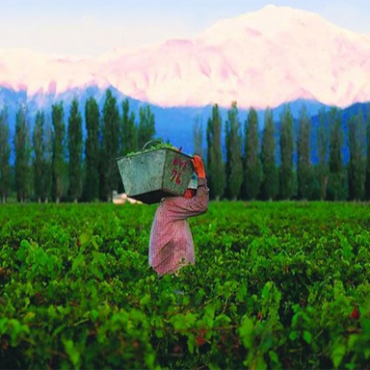 They work mostly with the region independent wine producers who craft with love artisanal wines. Bites are all uniquely prepared to be paired with the right wine. Fantastic blend of flavors! Dinner from €20, 43 rue de Cheverus, +33 9 8186 43 43, on Facebook. daily from 6pm. Hélène is a young and passionate lady that is behind this tiny and cute bar where you will fill at once at home enjoying simple and delicious cuisine at a very good price. Psss I’ve heard the “rillettes” are excellent. Original dishes, simple but well made to be enjoyed with delicious wines selected by Hélène. In 3 words an unique, atypic and magical experience. 41 Rue Neuve à Bordeaux. wed sat 6 pm 00 am . 12 pm 3 pm sunday. Savoury brunch. 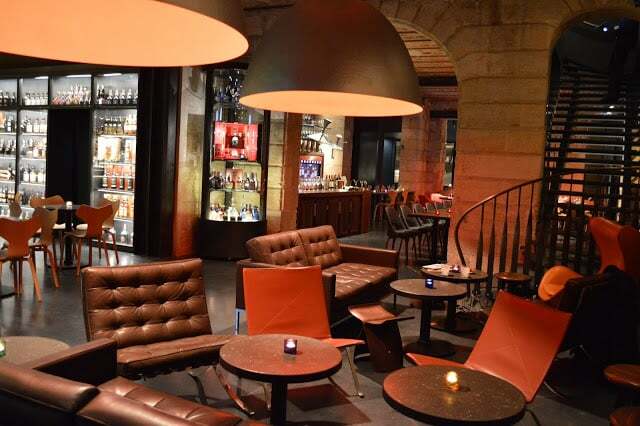 Located near the train station make this bar very convenient for a last sip before leaving for another destination. With over 1,000 wines from each region of the world, creative cocktails and tasty tapas, you will enjoy your last minutes in Bordeaux. 1 Quai de Paludate, 33800 Bordeaux, +33 (0) 5 56 94 94 40. 6 pm- 2 am. closed sunday.